For over two decades, Ridley has been devoted to building world class race bikes. Designed for and tested in the notoriously rugged conditions that have become an intractable part of Belgian cycling lore, these machines are built to win races in any conditions, all season long, without skipping a beat. Motivated by our admiration for Ridley’s products and their approach, we’re proud to offer a range of exclusive colors and build kits. From the World Tour proven Fenix SLX to the value packed Fenix SL Disc, each component of every build has been painstakingly hand selected with the goal of offering an exceptional experience on the road. the Fenix SLX Disc is a formidable competitor defined by its snappy responsiveness, airy lightweight construction, and no nonsense durability. The hard nosed among us will appreciate its stiff and aggressive, demeanor, which owes much to a generously oversized downtube and the brawny tapered fork. However, riders of all stripes will appreciate that the Fenix SLX offers a degree of suppleness that reflects its upbringing as a stage racer, thanks in no small part to the sleek and sculpted seatstays. The result of this potent formula is among the finest, and most versatile, race bikes in existence. 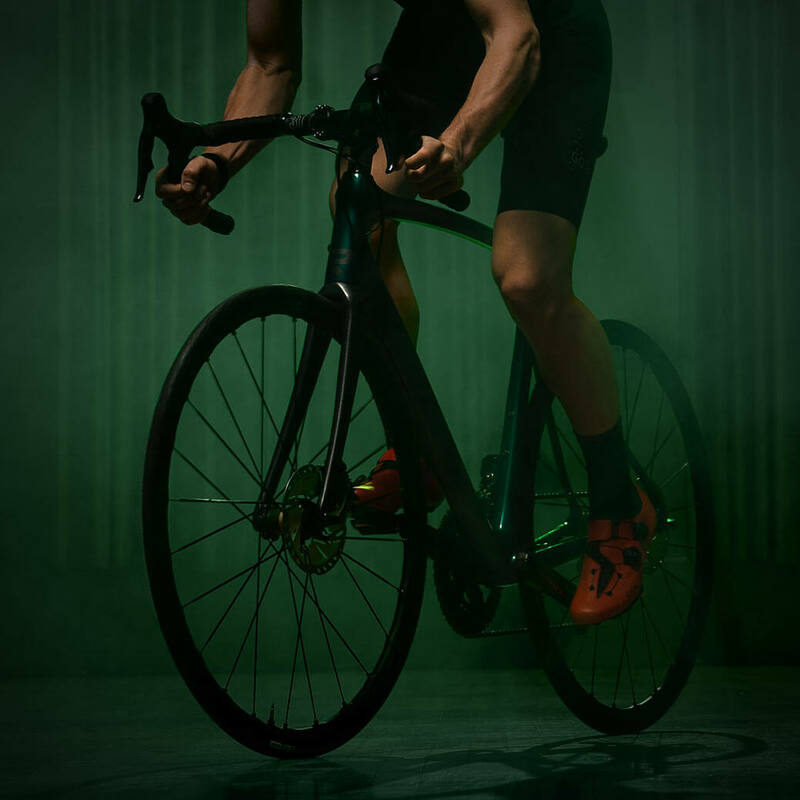 So as you might imagine, when offering the Fenix SLX in Competitive Cyclist exclusive trim, we chose to pull out all the stops in building a dream bike of the highest order. It’s only fitting for such an impressive machine to be dressed in worthy components. Among our exclusive, hand curated custom builds, we’ve chosen to highlight our SRAM Red AXS build. 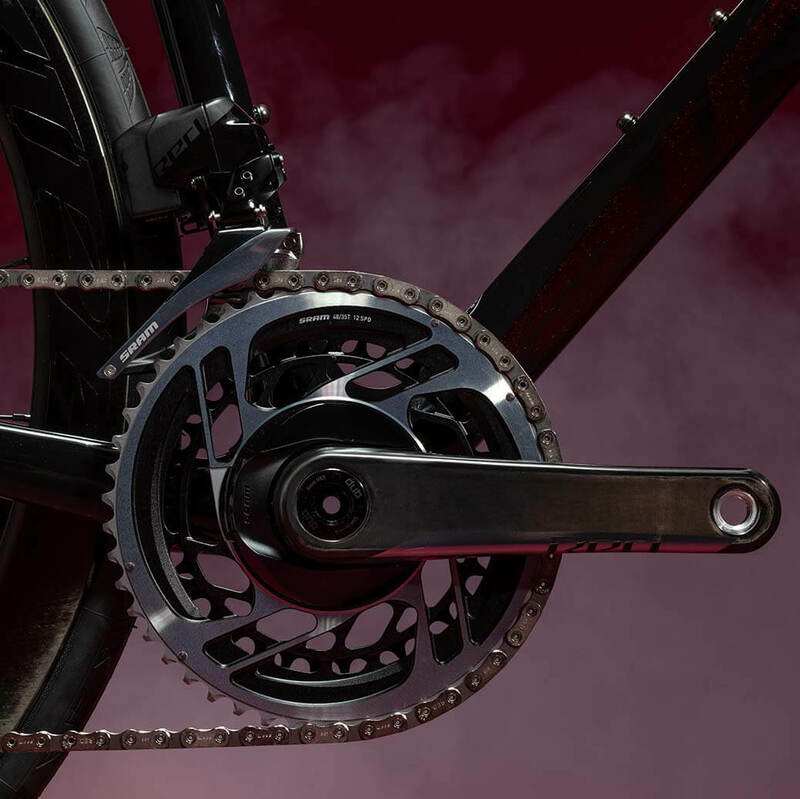 Naturally, it’s built on the latest iteration of SRAM’s pinnacle wireless groupset. The effortless, instantaneous shifting and stunningly precise braking highlight the very best aspects of the Fenix SLX’s impressive handling. Furthermore, Red AXS represents what is arguably the most advanced technology package available on the road today. It’s a fitting complement to this exceptional machine. This build rolls on a 302 Disc wheelset, which offers the speed and dependability we’ve come to expect from Zipp. 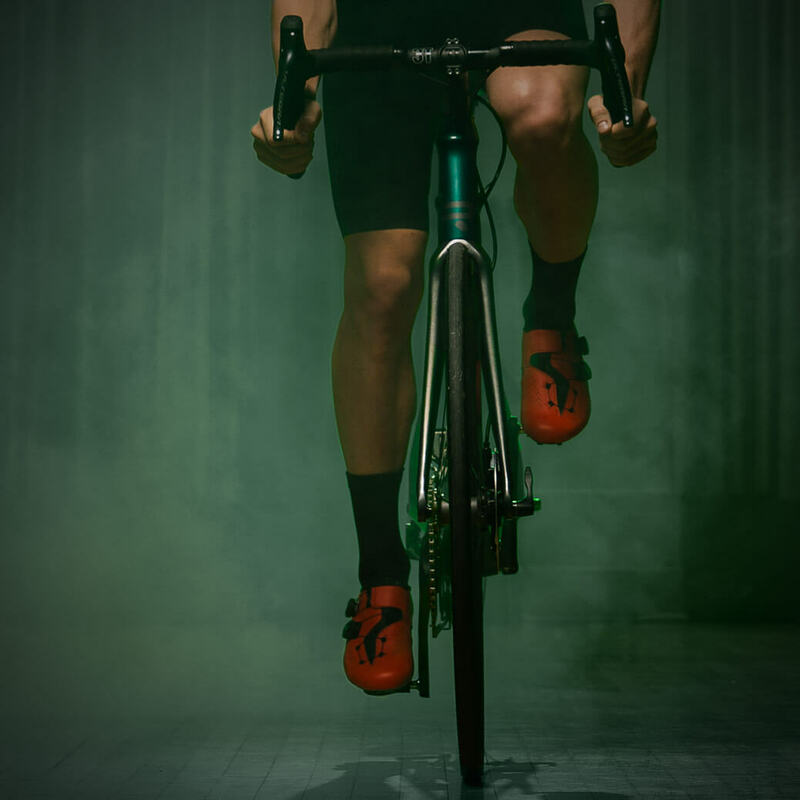 With rims 45mm in depth, this proven wheelset pairs outstanding aerodynamic efficiency with exceptional stability in crosswinds, making it incredibly versatile, and truly race worthy. The build is rounded out with a complete cockpit from 3T, with the star of the show being arguably the Ergonova Team handlebar, long a favorite of ours for the way that its ergonomic considerations are masterfully hidden beneath a fairly traditional looking shape. That we’ve been able to offer this truly world class build at such a competitive price makes it all the more compelling. Bringing the world class handling and versatility of the Fenix SLX within the reach of more riders, the Fenix SL Disc might well be considered the poster child for blue collar race bikes. Its inspiring stiffness and outstanding handling make the family resemblance undeniable. Ditto the buttery smoothness that keeps the rider feeling fresh as the century mark approaches and takes the edge off of cobbles and chipseal. Ridley has gifted this impressive steed the best attributes of its star sibling at a dramatically lower asking price. So when curating the build kits for the Competitive Cyclist exclusive version of the Fenix SL, we opted for hand picked build kits that are equally well suited to seasons filled with racing, training, and enjoying long days spent on our favorite routes. precise shifting and ruggedness which are indispensable assets throughout an unrelenting season of racing. 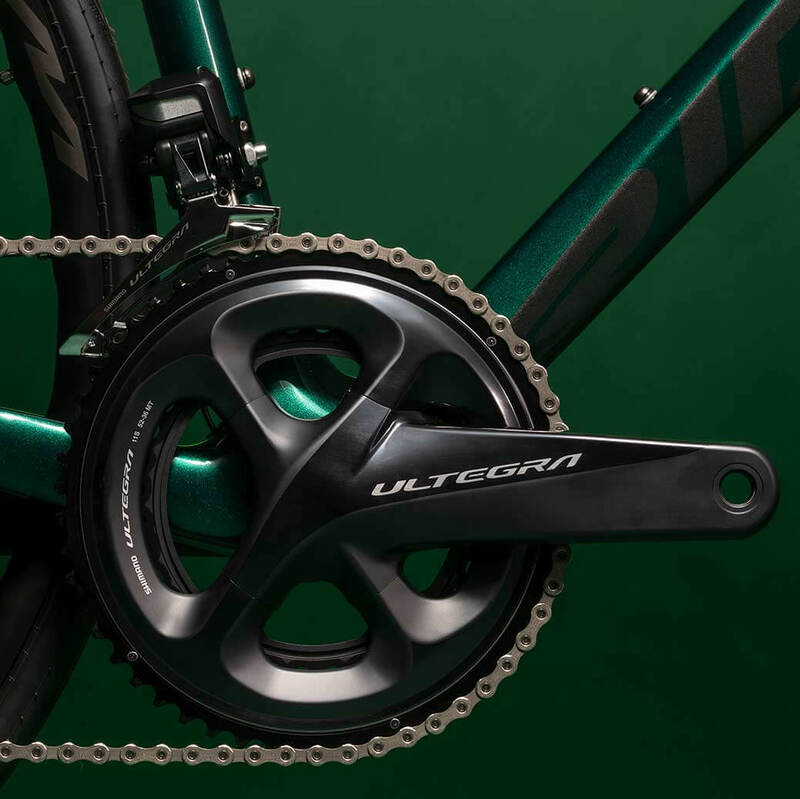 It’s become almost cliche to point out the reliability of Ultegra Di2, but the reality is that this groupset has become a standard bearer because it easily tolerates seasons of hard use with remarkably little attention required to keep it working flawlessly. Continuing the theme, the rugged Mavic Ksyrium Elite UST Disc wheelset is known for bombproof toughness and pain free tubeless setup, making them ideal for racing and training. And we’re particularly pleased with the 3T cockpit, which features a carbon fiber ARX II Team seatpost and the excellent Ergonova Team carbon fiber handlebar, which is one of our longstanding favorites for its aesthetically pleasing shape and well considered ergonomic details. The competitive asking price on this exclusive build only adds to its appeal. 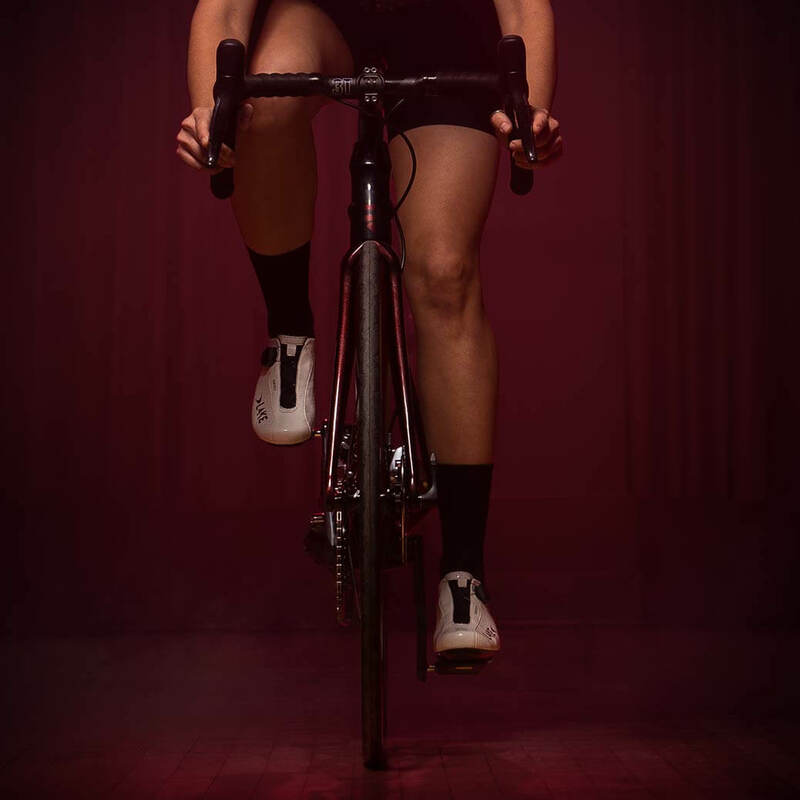 Competitive Cyclist Gearheads are your resource for all things cycling. They&apos;re bike experts with knowledge and experience that&apos;s second to none. Whether you&apos;re thinking about your next dream build, you need advice on components, or you have questions about an existing order, don&apos;t hesitate to contact a Gearhead.